Melbourne Airport has announced the appointment of Simon Gandy as its acting chief executive officer. The appointment follows the departure of former CEO, Chris Woodruff, who officially left the role at the end of June. Gandy has 25 years' experience within the aviation industry including senior leadership roles at Heathrow and Gatwick airports. He joined Melbourne Airport in 2007 and after holding several senior executive leadership roles, most recenty as the Australian gateway's executive aeronautical. As executive aeronautical, Gandy was responsible for growing and developing Melbourne Airport's aeronautical capacity, including attracting new airlines and new services to Victoria. He comes onboard at a good time airport as, according to the airport, it continues to outperform Sydney Airport in terms of the growth in international passengers, recording a 6% rise in throughput this June compared to 2.8% in Sydney. 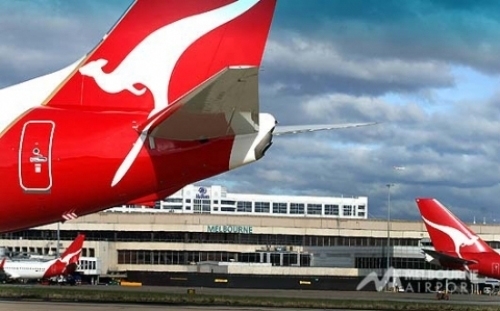 The increase, which amounted to nearly 40,000 extra passengers, meant that Melbourne Airport handled a total of 686,000 passengers (+6%) in June compared to the same month a year ago.